The market has been sluggish all session long, but its holding. I think we could see buyers emerge even going into a weekend with lots of unanswered questions and the clock ticking faster and louder. This statement today is noticeable because it leaves off Peter Navarro and suggest the intent to have a framework in place for President Trump and President Xi to meet and come to a deal. Encouraging signs from lawmakers and their representatives hinting at a major deal announced over the weekend or on Monday. Right now, only utilities are higher but selling is largely benign in all sectors other than energy. Barbara Millicent Roberts aka “Barbie” is back. Born on March 9, 1959, in the town of Willows, Wisconsin, Barbie became a rite of passage for children for decades. Recently, however, sales plunged as appeal waned. 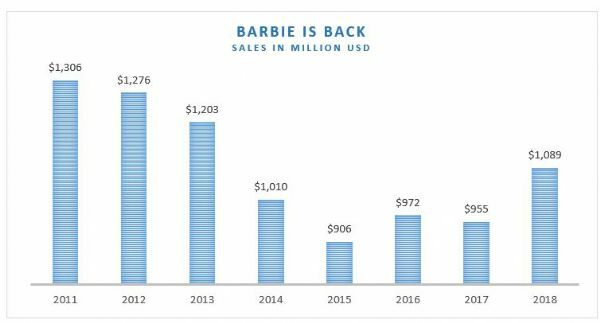 Mattel (MAT) gave the doll a makeover, and demand has returned sending sales up 19% in North America and 10% internationally. It’s interesting that Barbie is a reflection of America’s golden years and coming back in vogue. Conversely, Hasbro (HAS) saw its full year revenue -12%.